I decided right away to set Death is Like a Box of Chocolates in the fictional town of West Riverdale, Maryland. That way, I could simply create all of the setting details for the Chocolate Covered Mystery series. Even though I now live in southern California, I grew up outside the small town of Mars, Pennsylvania, and looked forward to pulling from the memories of my childhood. I drew a map of West Riverdale and decided that it would have a charming Main Street; that residents would patronize local shops and refuse to allow a big box store or national chains in the town; that it would be close enough to Antietam to gather a few lost tourists, but would not have its own significant historical sites to draw much of a crowd; and that everyone would know each other, but not all of their neighbors’ secrets. Of course, I had to document it all along the way -- I couldn’t bring up Google maps to figure out if Peach Street intersected Main Street in the middle of writing a chase scene, or whether the Knit Wits Yarn Store was on the east or west side of town, or how long it takes to walk to the Pampered Pet Store. Then I visited western Maryland and realized what I’d missed. The trees, flowers, and endless rolling green hills were different than what I’d imagined. The colonial buildings on the real Main Streets refused to follow orders and stay in uniform lines. They leaned forward and listed together, and were set so much closer to the road than “my” town, leaving just a narrow space for a sidewalk. Centuries-old churches with gorgeous stained glass windows anchored many towns, with cobble-stone streets spiraling off from their historical centers. Flower pots dangled from street lamps and flower boxes lined windows. The sunshine was actually different somehow – as if all of that green absorbed different light rays than in California. And it rained in Maryland. In the summer! And the food! Crabs and other fresh seafood were central to many menus. Produce from local farms tasted garden-fresh. Bakeries showed off tortes, cupcakes, and cookies in their windows with industrial fans pushing the scents out to the streets to tempt customers inside. The Main Street of my fictional West Riverdale consists of a charming mixture of colonial-era buildings (that are now somewhat crooked), and a few “modern” blocks built in the 50’s where Chocolates and Chapters resides. Chocolates and Chapters is a cozy and welcoming store with the best possible combination: Michelle Serrano’s gourmet chocolates and Erica Russell’s books. Residents enjoy their truffles and browse books among the mismatched couches and chairs scattered about the dining area. And the gossip! Chocolates and Chapters is the best place to find out what the neighbors are up to – whether they like it or not. Best friends Michelle Serrano and Erica Russell are celebrating the sweet rewards of their combined bookstore and chocolate shop by hosting the Great Fudge Cook-off during the town’s Memorial Day weekend Arts Festival. But success turns bittersweet when Main Street’s portrait photographer is found dead in their store, poisoned by Michelle’s signature truffles. About the author: Kathy Aarons is the author of Death is Like a Box of Chocolates, the first in the CHOCOLATE COVERED MYSTERY series by Berkley Prime Crime. It will be available at your local bookstore, Amazon and Barnes and Noble on September 2nd. Research for the series was such a hardship: sampling chocolate, making chocolate, sampling more chocolate, and hanging out in bookstores. After growing up in rural Pennsylvania and attending Carnegie Mellon University, Kathy built a career in public relations in New York City. She now lives in San Diego with her husband and two daughters where she wakes up far too early, and is currently obsessed with the Broadway Idiot documentary, finding the perfect cup of coffee, and Dallmann’s Sea Salt Caramels. You can follow Kathy on Facebook or Twitter or visit her at: www.kathyaarons.com. Book reviews that are short and sweet...just like Truffles! When I first saw the cover of this book I gasped: the beautiful brown tabby on the couch of a combination bookstore/chocolate shop with a bunch of delectable little truffles scattered on the floor. It amazed me that a single book cover could encompass all of the things I love most. Could the story inside possibly be as amazing as the cover? It was! 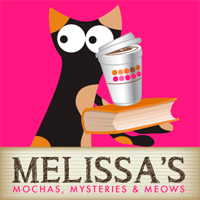 Chocolates and Chapters, owned by best friends Michelle and Erica in West Riverdale, Maryland, is the setting for the Chocolate Covered Mystery series. The town is preparing for it's Memorial Day Arts Festival, highlighted by the 1st Annual Great Fudge Cook-Off, when local photographer Denise is found dead inside Chocolates and Chapters - poisoned by a box of Michelle's truffles. With her existing chocolate supply destroyed and the store temporarily shut down, things are looking pretty bleak for Michelle unless she can catch a killer. One of my favorite characters in this book is Michelle's brother Leo. Leo raised Michelle following the death of their parents in a car accident, then lost a leg in Afghanistan and now suffers from depression and PTSD. These are serious topics not usually handled in cozies, and I hope to see Leo play a larger role in subsequent books in the series. 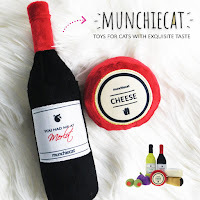 On the 4-legged side, Michelle is feeding a feline wanderer she names Coco, only to discover that she's being fed and named by half the town! Coco plays a key role in the end and I hope she finds her forever home with Michelle soon. A cozy with chocolate...my favorite :) Thank you for the chance to win! Chocolate - does the book come with that wonderful aroma! LOL Thanks for the giveaway opportunity. I definitely have to add this book to my wish list. A store with books and chocolate. Now that is perfect! 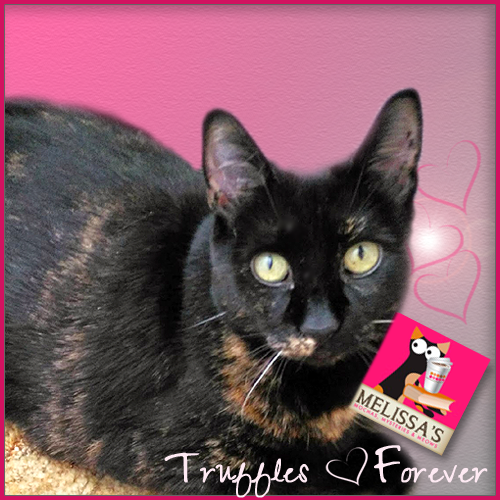 Happy weekend Melissa & Truffles! Chocolate Covered Mystery Series - be still my heart! Sounds like a great story made sweeter by the mention of chocolate. yummy! Glad yous enjoyed it so. Ooooh...chocolate, books, and mystery all in one. Sounds like a lovely read. 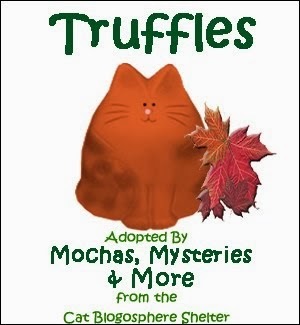 Chocolate and mysteries---a great combo---and the cat should just put the book over the top. Thanks for the contest. 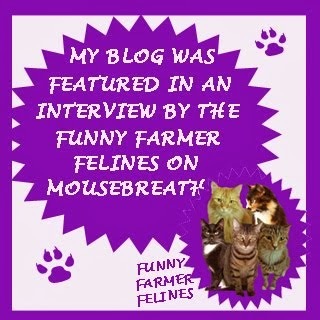 Thanks Melissa for the lovely review and for spreading the word! This one has been catching my eye. I can't wait to read it. Thanks for the giveaway. How dare they throw chocolate on the floor. Pop says it’s the most sacred food group. Please don’t enter me cod TW can’t read or maybe I don’t give her time to read. I liked reading about her creative process in dreaming up the small town world. Looks like a great book, thanks so much! Good luck everyone! Hope you all like the book! Chocolate! My biggest weakness. This book sounds lovely. What a perfect combination...bookshop and chocolate shop! Add the cat and it's purrfect! Sounds like a great start to a new series! I LOVE new cozy series!!! thank you for the giveaway!!!! 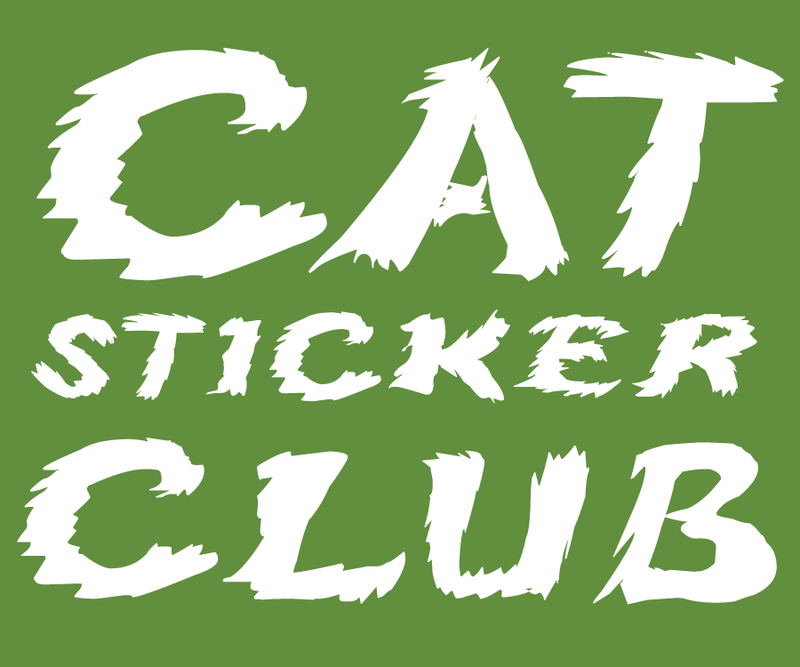 Introducing Our PAWS Sponsor Kitties!! !